NO ROOF LEFT BEHIND 2019 in Guilford County, NC - A Free Roof for those who need it most. View Details! NO ROOF LEFT BEHIND 2019 - VIEW DETAILS! Skywalker Roofing Company is a full-service, family-owned roofing and specialty solutions business that is proud to be the roofing contractor of choice in penhook VA. We bring a wealth of experience to penhook and the surrounding areas, as our company has completed over 15,000 projects over the past 15 years. In other words, we know what we’re doing! Skywalker is regarded as one of the best roofing contractors near penhook and surrounding areas, and we’d be happy to talk with you about how we can help serve your needs, too. Homeowners can be concerned about leaky roofs, worn out shingles, & damaged slates, but they shouldn’t have to worry about the company who can repair or replace them. Skywalker Roofing can take care of you; we are happy to come out and provide a free initial inspection. Your roof may be giving hints of issues that won’t be obvious until that next heavy rain or snow comes. Don’t wait, act now – call the best local roofers in penhook! Skywalker is trusted by thousands of families, businesses, and other contractors for roof repair or replacement in penhook. No job is too big or too small, and each job we do is the most important project to us. Asphalt Shingle Roofs: Skywalker Roofing uses shingles from Owens Corning, which means their quality is guaranteed. Every shingle is installed with six hard nails. The materials and installation process ensure a superior result – a roof that will withstand the elements of unpredictable weather. Metal Roofing: Metal roofing is an excellent way to protect against storm damage. Metal roofs are lightweight but sturdy and are a good choice for large or very old buildings. Skywalker installs and provides services for standing-seam-style metal roofs throughout our service area. Flat and Low Slope Roofing: Skywalker Roofing can install flat or low slope roofs for residential, commercial, and industrial projects. If you need installation or repair for a flat or low slope roof, we can help! Tile Roofing: The most common roofing material used in the world today, clay tiles are a classic, traditional style and remain a popular choice. Tiles require very little maintenance to stay in good shape, and they offer the best protection against wind damage. In addition to installing tile roofs, we also handle tile roof repair and restoration. Slate Roofs: For the ultimate in beauty and protection for your house, Skywalker also installs slate roofs. While there are many roofing contractors who serve penhook , you need to know which ones are able to take care of your slate roof. We have the tools and experience to install, inspect, and repair slate roofs. Wood Shake Roofs: This natural roofing material is the choice for a classic look and environmentally-friendly approach for your roof. A wood shake roof must be expertly installed using quality supplies to be effective. Over the years, we have installed wood shake roofs for hundreds of satisfied customers in NC and VA. We also handle inspections, repairs, and restorations for wood shake roofs. Commercial Roofing : With over 100 years of combined experience, Skywalker has the know-how to provide all your needed commercial roofing installation, repair, and replacement services. Our team of certified roofing contractors consistently match and exceed our commercial customers’ expectations. Skylight Installation: Skylights are a great way to add aesthetic appeal, reduce energy costs, and improve your health with natural lighting. Skywalker has been a leader in the residential and commercial skylight installation and repair industry for many years. Gutter Installation: Rain gutters are an effective way to help maintain the life of your roof investment … but gutter installation can be challenging in the hands of a novice. Trust a professional for all your gutter needs; Skywalker has got you covered! Fascia & Soffit Work: Fascia and soffit protect the edges and underside of your roof from moisture infiltration, and they also add a decorative façade. Skywalker provides exemplary work when it comes to fascia and soffit! Vinyl Siding: Skywalker does more than just roofs! We also do vinyl siding installation and repair, and our team of skilled and certified installers has been providing quality vinyl siding services for over 15 years. Window Replacement: Skywalker is a name you can trust for replacing windows. We are skilled in installing or replacing everything from modern energy-efficient, Low-E glass to low-maintenance vinyl replacement windows. We provide all types of window replacement services, and our experts can assist you in choosing the most suitable window options for your building. Custom Metal Fabrication: Not only does Skywalker install and repair metal roofs; we also specialize in custom metal fabrication for other applications as well. Our team of professional and knowledgeable contractors can take care of your special metal fabrication project needs. Blown Insulation: Skywalker doesn’t just work on the outside of your building; we can help take care of the inside, too! We can help meet all of your insulation needs, and we work with a variety of insulation materials and products. Interior Drywall Repair: Risking to place your drywall installation in the hands of an amateur is something you’d be likely to regret. Trust Skywalker for drywall installation that’s done right the first time! We provide the most comprehensive full-service drywall installation and repair services in the business. Our team of certified drywall installers can take care of all your needs! Skywalker Roofing is one of the highest-rated, most dependable roofing companies in both North Carolina and Virginia. 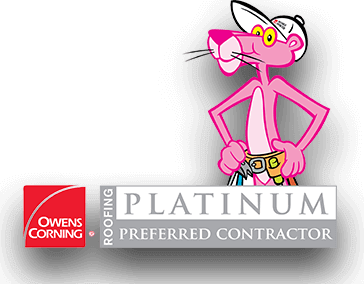 We’re a proud recipient of the prestigious Owens Corning Roofing Platinum Award 4 years in a row—all thanks to our company’s industry-leading contributions in the field of roofing. This recognition reflects our continued focus on delivering customer-driven and results-oriented approaches. We have years of experience helping homeowners and business owners choose the right roof or other solution for their needs. We take our time during the consultation process to make sure that we understand all your concerns. Unlike other local roofing contractors in penhook, we always conduct thorough inspections, and we also take the time to listen to you. By working to truly understand your needs, we are can then make the best recommendations about which solution will be best for your home or business. Most roofing contractors won’t go the extra mile with you, but at Skywalker, going the extra mile for our customers is just a hallmark of how we do business. Don’t get left out in the rain once the storm season gets underway – contact Skywalker Roofing for peace of mind now! Give us a call for all your roofing installation, repair, and special service needs! Our story with Skywalker began when I surfed the web for a roofing company that included metal roofing in its services. Skywalker was the second company I reviewed and after reading everything on their website I just got a really good feeling that they were the people we wanted to come into our home and give us a quote for the job. The salesperson (Wyatt Brown) arrived on time, a smile on his face, a good firm handshake and revved up to give us his presentation. He was an impressive guy with a great personality and very down to earth. He physically climbed on our roof and took a video of what was going on up there and showed it to us. We were astonished at how 24 years of NC weather had managed to really play havoc on our roof. He continued with his presentation, we picked our color and signed the contract. We knew we had the right company who had the right people to service our needs. Well, the installation day arrived on one of the hottest days in NC history and the crew arrived with all their equipment and started ripping off old shingles. The crew supervisor (Quinton) was very customer oriented as he would come to the door and let us know exactly what they were doing in case we had questions. They were all hard workers, neat, tidy, focused and two and a half days later we had a gorgeous Mansard Brown Standing Seam Metal Roof on our house. It is beautiful and has really enhanced the look of our country cottage home so much. The crew did a cleanup before they left and that included checking for any nails that might have landed in the yard. They blew off the debris on the front porch and deck and they were spotless. We were so satisfied with Skywalker because from the beginning to the end we were treated as friends of the family. By the way, Skywalker is a family run business and that says a lot. Skywalker Roofing staff did an excellent job for our flat roof replacement. We have reached out to multiple roofers, but Skywalker roofing was the only one that seemed reasonable. The team was easy to work with and patiently answered all our queries about the company, the material they used, the time they fix. Highly recommended whenever you're looking for the best roofing services. Skywalker Roofing company is awesome! When most of the roofers in Greensboro were busy, Skywalker Roofing team answered and handled all my requirements, and next day Wyatt Brown came to my house and took an in-depth inspection of my damaged roof. The same day they fixed my roof corner and the hole near a gutter. I am very thankful to Skywalker team. Skywalker Roofing is one of the rare companies that communicate as much as a customer would like. I was updated daily from my initial request for an estimate all the way through the day after my project was complete. I am extremely happy with our new roof, and the crew that came out was fantastic. I would recommend Skywalker Roofing to anyone who is looking for roofers in Greensboro area. "The whole process from the initial phone call, into the office, and to the financing process was flawless, seamless, and effortless. Everyone there knew what they were doing and walked us through step by step, so we knew what to expect during each step. They really made the whole process so easy." Just share your requirements and our experts will provide the best service. © 2019 Copyright by Skywalker Roofing Company. All Rights Reserved. Book your appointment NOW & Get a FREE Roof Estimate. Just share your requirements & get a quick quote!